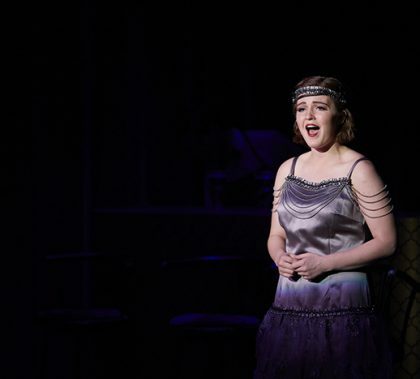 You’ll get tap dancing aplenty in “Anything Goes,” the bright, shiny musical extravaganza that features an almost 40-member cast, the music of Cole Porter, more than 100 costumes and collaborations among the College of Fine Arts and Production’s theatre, dance and music departments. It’s pure escapism, feel-good fun, says director Claude Pensis. 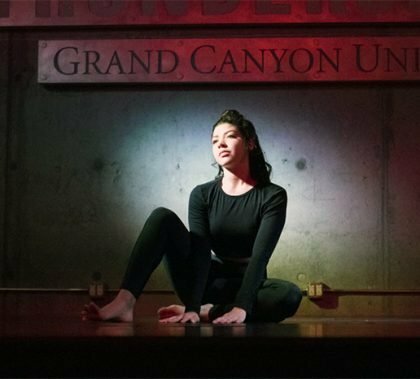 The Student Spotlight Spring Dance Concert has a fun vibe that’s a little different from other concerts performed by the dance program during the year. Eighteen works, from hip-hop to ballet, have been selected for this year’s concert, coming up March 13-14 in Thunderground. 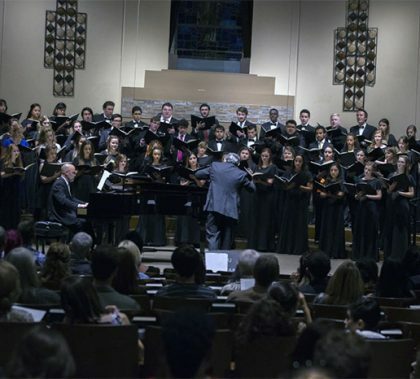 GCU’s Canyon Chorale and Critical Mass are mixing it up with opera selections and some Broadway tunes from musicals such as “Into the Woods,” “Dear Evan Hansen,” “Newsies,” “La La Land” and “Beauty and the Beast.” The concert is Thursday at First Southern Baptist Church of Phoenix. 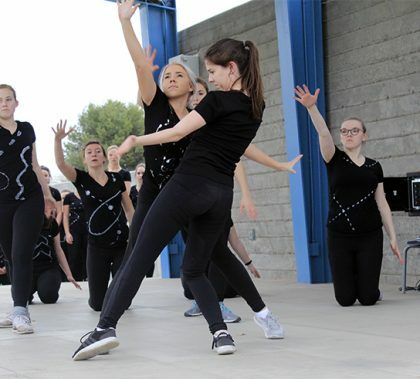 It was an unusually chilly morning in Chandler when students in GCU’s dance department stopped by Kyrene de la Paloma Elementary School to warm the amphitheater stage with a 20-minute, modern, kid-friendly dance. The stop was part of the department’s annual elementary school dance tour, which continues through March. The goal is to give students the opportunity to see dance and maybe be inspired to become dancers themselves. Marty of Social Club Misfits swore he would never return to church. Fern, the other half of the Christian hip-hop duo, spent time in prison for drug trafficking. 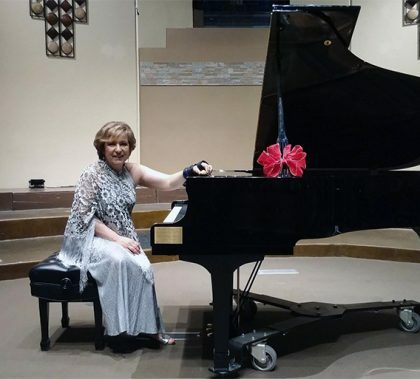 It hasn’t always been a smooth road for the musical artists, but they have found their way back to church, God, family and, of course, music. 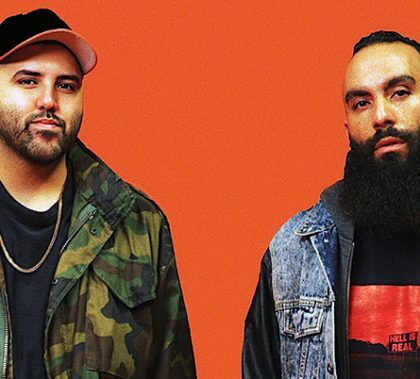 GCU Today spoke with the duo, who has released a new CD, “Into the Night,” and will be performing Sunday at GCU Arena as part of the Rock & Worship Roadshow. 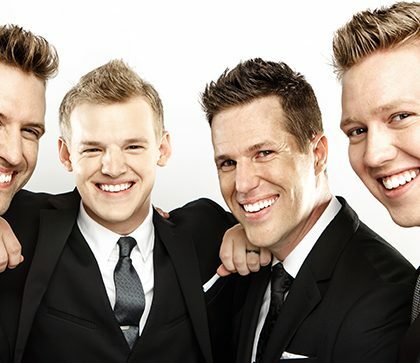 The Ball Brothers gospel group takes a cue from young artists such as Pentatonix and Michael Buble when it comes to updating the classic sound they love so much. 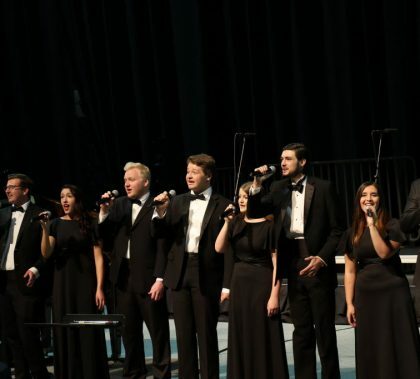 The group is one of almost a dozen acts that will perform at the Southwest Gospel Music Festival Sunday and Monday at GCU Arena. At the core of what GCU’s music department does is integrate faith and music, said assistant dean, Dr. Juan de Dios Hernandez. Expect the same at the GCU Choirs’ Masterworks Concert on Thursday at First Southern Baptist Church. The hourlong performance will include everything from a well-known Reformation hymn, to African-American spirituals such as “Ride the Chariot,” to works by Norwegian composer Ola Gjeilo based on a poem by St. John of the Cross. 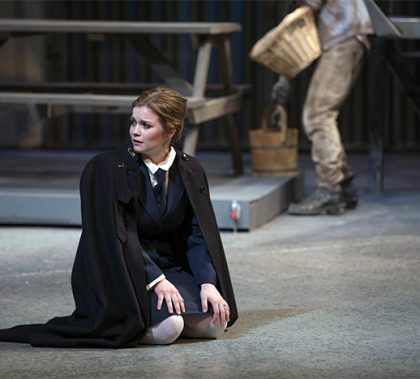 Ethington Theatre’s “Major Barbara” cast commands the elegant language of playwright George Bernard Shaw in a finely acted production that also includes an industrial-chic set. The play, which was previewed on press night Wednesday, will open 7:30 p.m. Friday and will continue its run for two weekends. Is salvation achieved through faith and good deeds or through money and power? It is one of the big questions characters wrestle with in “Major Barbara,” opening on the Ethington Theatre stage on Friday. 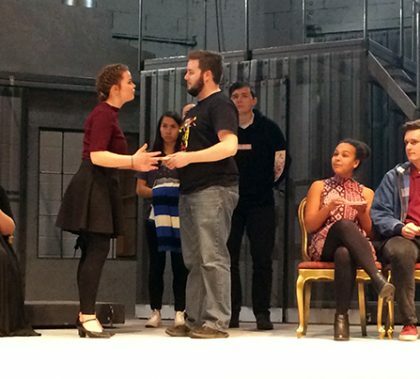 The classic George Bernard Shaw satire will run for the next two weekends.